Quilting covers so much ground. As comfort, resistance, community, chronicle, mystery, banner, beauty. The act of stitching, piecing, fragments into story. Or pattern. Or proclamation. 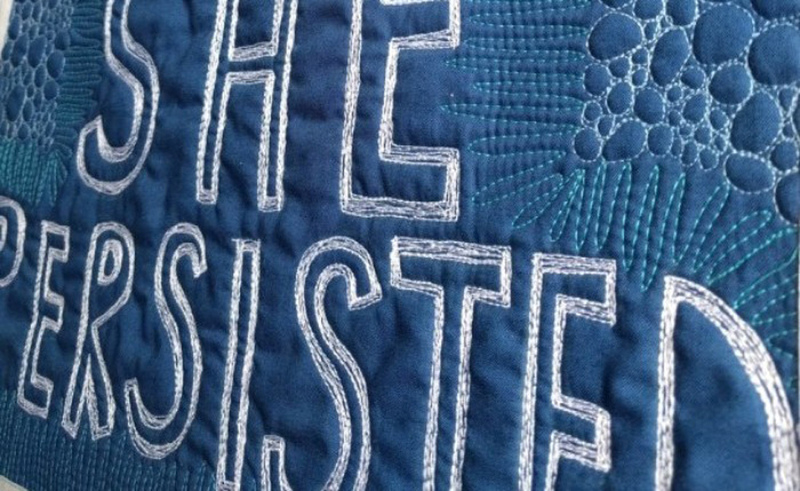 The history/herstory of quilts spans domestic, political, artistic, religious and economic spheres. Only fitting that quilting collects pieces from each of these realms, arranges and overlaps, then binds them together, to tell a more complete story and create a vibrant picture of our tangled world. What forms do quilts take in 2018? What materials are used in this era of excess? What stories surface again and again? And who is telling them in quilts?